There’s nothing quite like the look and feel of rich, smooth, luxurious looking leather. Whether it’s a pair of boots, an opulent couch or a classic motorcycle jacket, good leather is an investment and should be treated that way. When taken care of, leather can last decades and still retain its original richness. Much like skin, it can be prone to dryness, cracking and discolouration, so keeping your leather products on a maintenance schedule is key. The good news? 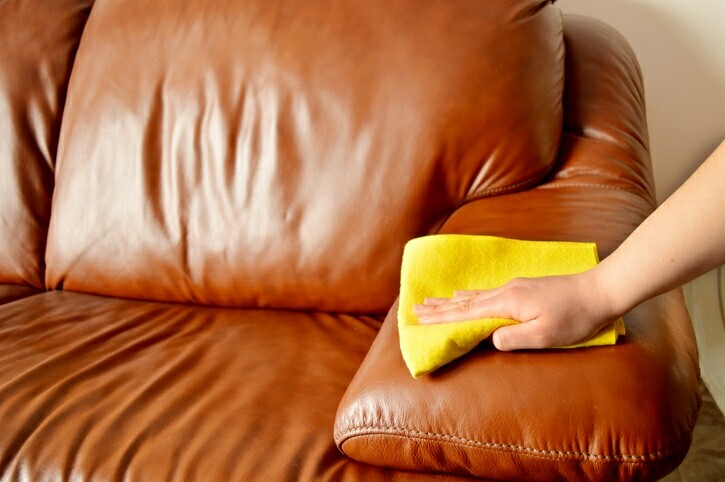 Much of good leather care can be handled easily, with no expensive equipment or cleaning products required. Here’s a guide for keeping yours looking as good as the day you bought it. The simplest way to make your leather last is to regularly wipe it down with a soft, damp cloth regularly. This keeps it safe from dust or other particles that may cause wear and tear, and even microscopic scratches. It also takes care of residue that, over time, can cause discoloration or other forms of damage. 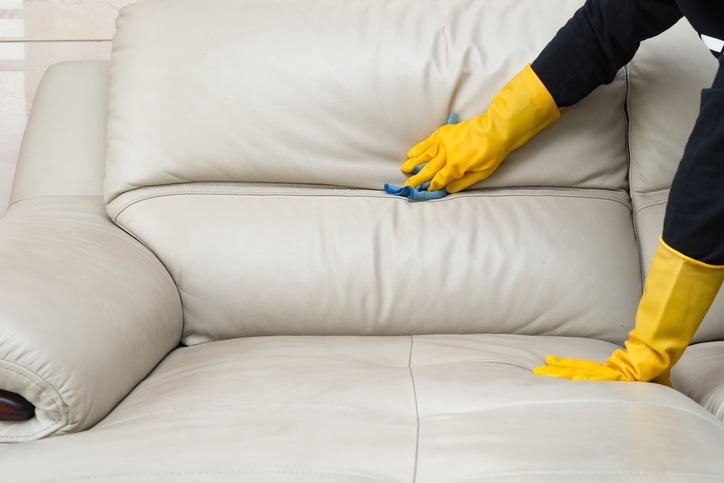 If your leather couch or armchair gets a lot of love on a daily basis, you might want to wipe it down every day. That way, you’ll be in the habit of it. Just remember to be gentle and use a soft cloth. For extra tender, love and care consider furniture reupholstery from Prestige Decor. Conditioner is a really handy product to have on hand for all kinds of leather products. It doesn’t deposit colour the way a polish does, but it will moisturize your leather and keep it supple so that it doesn’t dry out or crack. Leather conditioner works like a moisturizer for the skin does. To apply, simply wipe your leather clean with a damp cloth and gently rub the conditioner in. Look for a conditioner than contains lanolin, a waxy oil produced by sheep. 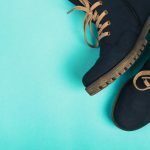 It’s a natural substance that is used in many products – even beauty products – and works wonders for giving leather a really smooth, supple feel. Conditioner can be applied as frequently as once a month or as sparingly as once a year. The more often you apply it, the softer and newer your leather will feel. A crucial tip for prolonging the life of your leather is to use a waterproofing product. Waterproof sprays are easy to find and inexpensive, but you’ll often find yourself having to re-spray over the course of the winter months as it inevitably wears off. The spray function also makes it hard to control precision. A better option is a wax or cream that you can rub in, especially those sneaky cracks and creases. This will protect your furniture from things like drink spills or leaks, and your shoes or clothing from sudden flash floods. Polish doesn’t technically treat your leather therapeutically, but it does add a lovely rich shine to both furniture and clothing, which can give the illusion of better quality. If parts of your leather are worn or discoloured, polish can be a great camouflage. It’s usually best applied in small areas, particularly where the finish or colour has worn off over time. It’s also worth noting that many brands of polish do contain some moisturizing elements, so you might be able to kill two birds with one stone. Ask your leather care company to recommend a product that does double duty. Remember, leather is a form of skin and needs to breathe. Storing it in a space with optimal ventilation will prevent mold, mildew or rot from impacting it. Sealing or storing it in anything plastic is not recommended, but covering it with soft, breathable fabric will do the trick. If possible, keep your leather products away from direct sunlight. This is a little harder to manage with furniture – say, a couch – so try to keep your blinds closed during the day if this is the case. Sunlight will not only fade the rich colour, but contribute to cracking and drying of the material. If your leather gets wet, let it dry out naturally in a space with ventilation. Don’t apply heat or place it in an enclosed space until it has dried out completely. A regular maintenance schedule for your leather that includes wiping down, conditioning, polishing and proper storage can keep it looking new for years. If you need product recommendations or specialized leather care, contact Love Your Leather today.